Our new door has a new hinge, better closure and has total aesthetic makeover. Add convenience, safety, and beauty to a home with the patented PCO Access Door. 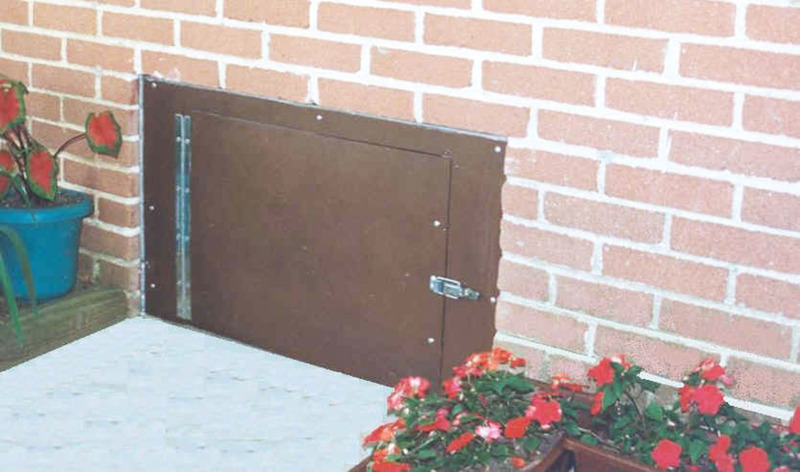 The PCO Access Door provides access to your home's crawlspace. Easily installed, it arrives with a complete installation kit and instructions. 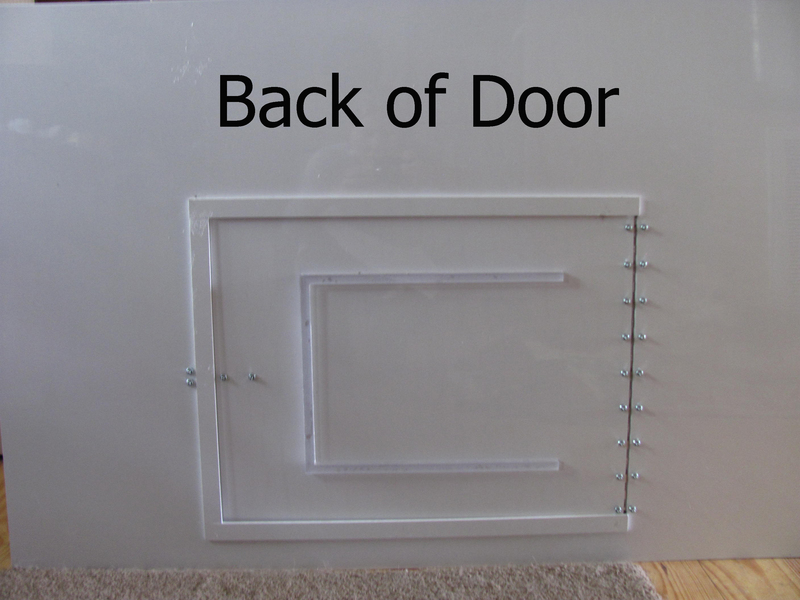 The door is easily modified to install a vent. 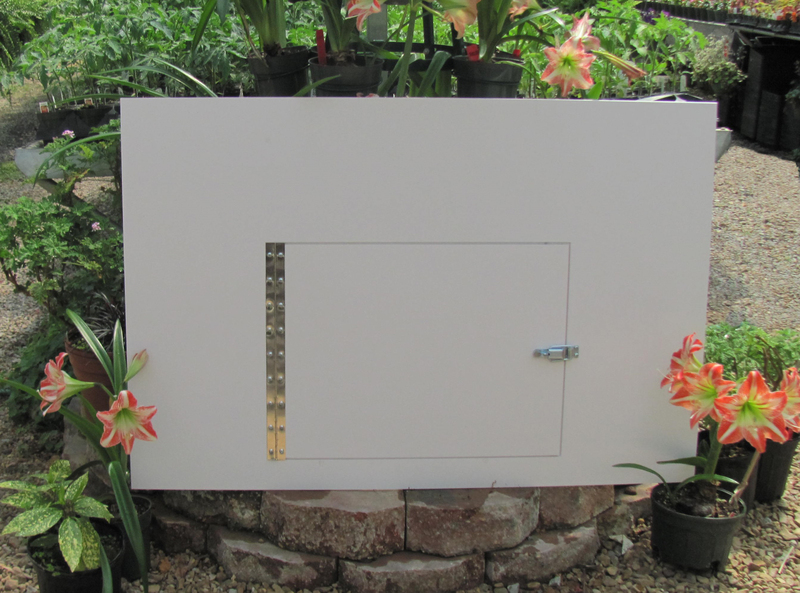 PCO Access Door easily hinged to fit those tight places like deep-wells.